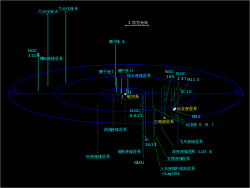 ^ SIMBAD Astronomical Database. Results for Sagittarius Dwarf Spheroidal. [2006-11-28]. ^ 2.0 2.1 2.2 2.3 2.4 2.5 2.6 2.7 2.8 NASA/IPAC Extragalactic Database. Results for Sagittarius Dwarf Spheroidal. [2006-11-28].